Each year we have a number of seasonal positions for friendly crew, stewards and skippers to work on our fleet of boats. Vacancies will be listed below, but we are always interested in hearing from people who have the right skills and experience. To apply for a position please email your CV to enquiries@chesterboat.co.uk and let us know why you would like to work with us. 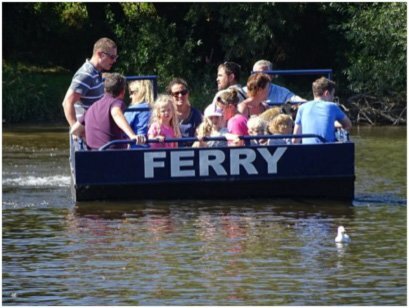 Sandy Lane ferry operates at weekends, including bank holidays, from 10.30am-4.30pm on Saturdays and 11am-4.30pm on Sundays, operating from Spring Bank Holiday weekend until the end of September. The ferry service links the Sandy Lane and Boughton side of the river with the Meadows opposite. We will provide the necessary training in boat handling, First Aid, and water safety. This is a unique opportunity for someone with an interest in the local area to be a part of a service which has served the community for many years. We would like to hear from MCA-qualified skippers who would like to drive our fleet of passenger boats. Training can be provided for the right partially-qualified candidate.